How do you love your neighbor in the midst of conflict? A book by Rev. Wil Cantrell (E&H ’01) intends to help United Methodists remain committed to the Church during a contentious debate. Rev. Wil Cantrell (E&H ’01) finds himself at the center of a storm. At the heart of the discussion is whether LGBTQ persons can be ordained or married in the United Methodist Church. The current Discipline allows for neither. Some say this is as it should be. Some say it is time for more inclusion. Delegates at the Conference will gather for a special called session in February 2019 to deal solely with this one agenda item. At the 2016 gathering, Wil used a blog to share thoughts about proceedings and discussions surrounding the many issues debated at the conference. A book publisher read his work, noted his number of followers, and asked if he would be willing to write a book focused on navigating the current controversy. 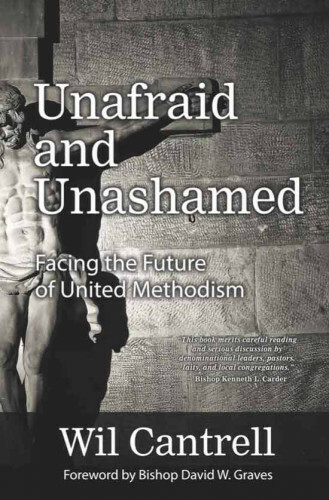 Unafraid and Unashamed: Facing the Future of United Methodism was released in 2017, and was mostly meant as a resource for pastors as they consider how to talk with congregations about this issue that has become divisive for the United Methodist Church. He says everyone was “telling people how to think, but no one was offering a way to approach the matter with kindness and spiritual care.” He hoped this book could help. And hoped it might also touch on a larger issue of how to love each other across divisions in an increasingly divided world. He recalls offering his own congregation at Concord United Methodist Church (Knoxville) a chance to attend a discussion of his book. They only casually mentioned the event, put out 20 chairs, and 120 people showed up. Rev. Wil Cantrell, E&H Class of 2001.